Hurricane Preparedness - Are you Prepared? 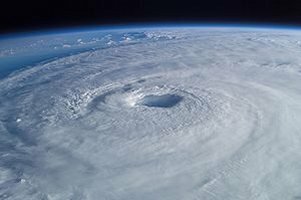 | Professional Engineering Inspections, Inc.
Hurricane Preparedness – Are you Prepared? Hurricane Season is serious business on the Gulf Coast. The hurricanes affect residents from the coastal counties and extending many miles inland, causing severe property damage as the hurricane dissipates moving inland. DO NOT underestimate the ability of even a small hurricane to do serious damage and pose a serious hazard to life and safety. Damage can occur from both high winds, wind-driven water, rising water, and storm surge near the coastal areas. Consider this document as a basic primer about the things you should consider in preparation for hurricane season. Keep in mind that preparations will vary based upon the needs of you and your family, your location, and your home. You should contact your local city manager and office of Emergency Management for further information and recommendations specific to your area. Much of the information in this document was taken from resources found in the links at the end of this document. These links have been included at the end of this document to help you to find additional information. The following recommendations should be considered at the start of hurricane season. Know the storm surge history and elevation of the area. (Emergency Management and National Weather Service officials can often help supply this information). Prepare a family emergency plan for evacuation. Learn the safe primary and alternate routes inland. Organize your important documents in the event you must evacuate. Store all legal documents in one secure container or cabinet which is easily moved. Make an inventory of documents, photos, and other irreplaceable items that need to be taken in the case of evacuation. If you have storm shutters for your home insure they are in good and serviceable condition or repair them if necessary. Prepare you home for high winds and rain. Check with your insurance provider to insure all of your policies are up to date and provide adequate coverage. This must normally be done at least 30 days before a hurricane. Check with your provider for such deadlines. Take photographs or video of your home and its contents to document them for insurance purposes. Trim trees and shrubs to prevent damage to properties. First Aid Kit / Medicines / Prescription Drugs. Keep a 2 week supply minimum. Vehicle fuel tanks filled. During hurricane season work to keep you fuel tanks at least half full. Inverter to charge phones, laptops, games, etc. from you running car. The following recommendations should be considered in the event a storm is imminent in your area. Monitor your local city Office of Emergency Management for evacuation orders or other information specific to your area. Check for available shelters if you can safely stay in the area in the event that your home is in danger or may sustain damage. Bring in outdoor objects such as lawn furniture, toys, and garden tools. Anchor objects that cannot be brought inside. Do a final check of your emergency supplies. Charge your cellular phones, laptops, and any spare batteries. If an evacuation is ordered, leave as soon as possible or in accordance with the evacuation order. If you leave your home, secure it by turning off electrical power and water. Turn off gas at each appliance but not at the meter to prevent contamination of the gas lines in the event of flooding. Store Water. Fill sterilized jugs and bottles with 2 weeks of drinking water. This can become hard to find for the first few days or weeks after a storm. Fill bathtubs and large containers with water. This water can be used for utility purposes. Turn you refrigerator to maximum cold and open only when necessary. Have ice chests on hand. You may need to live out of them for an extended time. Stay inside at all times. Listen to radio or television for hurricane progress reports. Stay inside, away from windows skylights, and glass doors. If you have evacuated, monitor the news for your home area. Do not return until told to do so. It is probable that there will be a lack of basic services. Do not call utility companies within the first few days after the storm as they will be busy handling emergencies. Stay tuned to local radio or television. Return home only after authorities say that it is safe to do so. Avoid loose or dangling power lines. If possible, report them to the power company or local authorities. When working in the yard beware of snakes, insects, and animals driven to higher ground by flood water. The following links are provided to allow you to collect more information on being prepared for a disaster such as a hurricane.